If you are experiencing some kind of dental emergency, we will see you today. We purposely allow time in our daily schedule to accommodate the unexpected emergency, so give us a call right away at (843) 342-6900. New patients call (855) 477-2281. Even if you aren’t a current patient of record, emergencies take a top priority at our office. Many people put off going into the dentist for one reason or another. Maybe it has been years since you have seen a dentist or maybe you get especially anxious about visiting the dentist. Whatever the case, we will not judge you or make you feel bad about it. We want to help you feel better and our main goal is to relieve your pain quickly and comfortably. It is important to realize that pain or a toothache is usually an early indicator of a more serious dental issue. Sometimes it only takes a short, couple minute procedure for Dr. Rothwell or Dr. Lenick to get you out of pain. The sooner you get into the office usually means your problem can be addressed more conservatively. Don’t put it off any longer, schedule your appointment right away. A toothache, abscess, chipped or broken tooth are common dental emergencies. 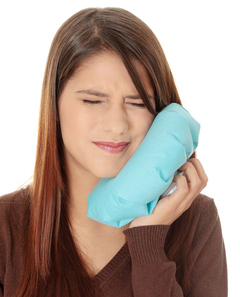 A toothache may be caused by tooth decay that has progressed into the pulp of the tooth. This means that the tooth is infected and a root canal treatment may be needed to save the tooth. Sometimes the toothache will subside, but this doesn’t mean that the infection is gone. In fact, the infection may spread if it is left untreated. One of the things that helps set Dr. Rothwell and Dr. Lenick apart from other dentists out there is their cosmetic dentistry credentials. So if you are dealing with an esthetic emergency like a cracked or chipped tooth, their training and advanced cosmetic dentistry skills will be especially beneficial. Dental bonding or a porcelain veneer may be an option to restore your tooth.